Automatically design, simulate, share, and buy a variety of power solutions, including step-up, step-down, and isolated configurations. Customized DC-DC and sequencer recommendations for multi-rail or multi-load systems including processor, SoC, uC, and FPGA designs. Specify and create an integer-N or fractional-N PLL, synthesize the loop filter, and simulate. Compare up to five designs. EE-Sim can design and simulate your Bessel, Butterworth, or elliptic filter, and enable you to compare two solutions to identify your best design. 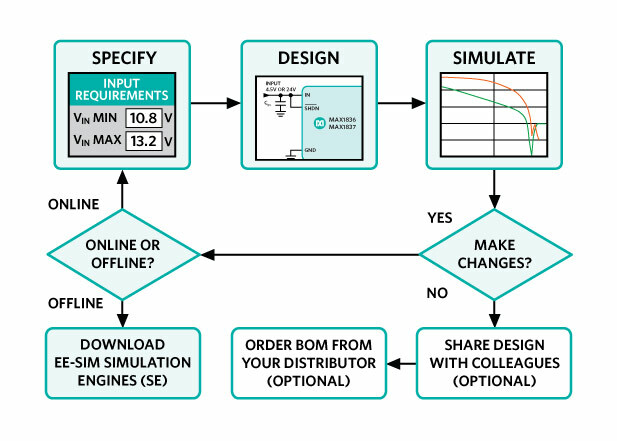 EE-Sim automatically creates a circuit schematic based on your requirements, saving you precious design time and resources. 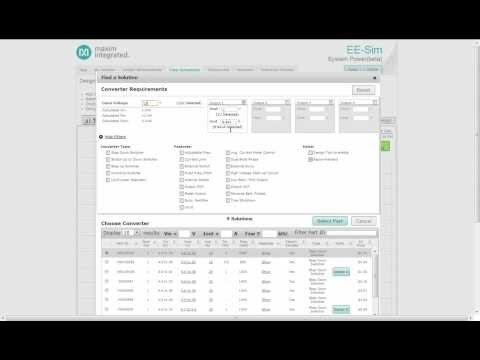 Set up and complete your simulations in just minutes. You can share your designs with a colleague, order your BOM from your distributor of choice, or print a complete report. 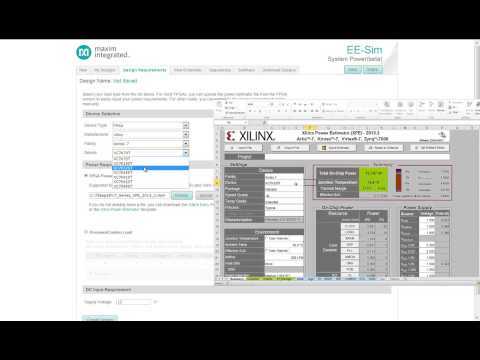 You can also download your own version of EE-Sim for free. Advanced design management functionality added.